FINE Gael TD Joe Carey has asked Clare County Council press ahead with a variation of the County Development Plan to facilitate a planning application for a one million square foot data centre on the outskirts of Ennis. 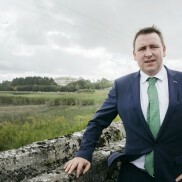 Deputy Carey, who has been pressing for the enactment of new planning legislation to facilitate the provision of data centres as strategic infrastructure developments, said there will be 300 permanent jobs at the data centre with up to 800 ancillary jobs in high value contract and maintenance roles. It is estimated that 1,100 construction workers will be involved in the building of the data centre for four years on a 51 hectare site close to the Tulla Road junction on the M18 motorway. 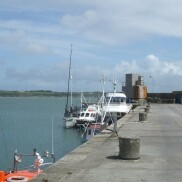 with a view to enabling a planning application to be lodged later this year. 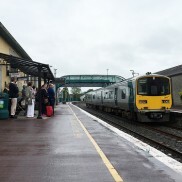 “Director of Service for Economic Development Liam Conneally has given me a briefing from the council’s perspective while, from a Government point of view, I have been pressing for the enactment of new planning legislation. “The Planning and Development (Amendment) Act 2018 provides for this and will ensure that planning applications for the development of new date centres will now be lodged directly with An Board Pleanála. 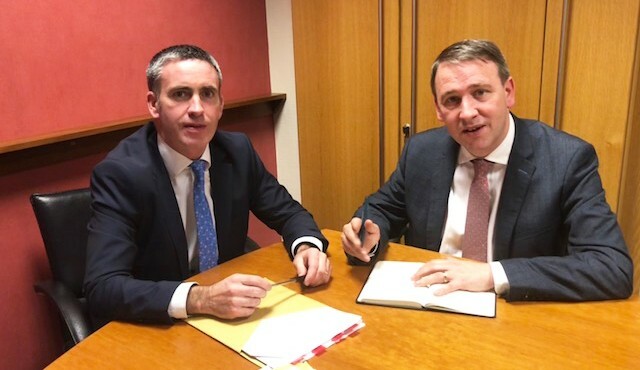 I have also briefed Minister of State Damien English who has special responsibility for Housing and Urban Development on the necessity for the speedy enactment of this vital legislation. “This project has my full support . Data centres are central to the digital economy. They contribute to job creation and generate significant added economic benefit by providing a range of services to other firms that undertake production, R&D, marketing, sales, service and support activities in locations with no physical/geographic connection to the data centre. “While a data centre in itself is extremely positive it’s the potential spin off business that can be created that could be the real game changer for Ennis and County Clare,”Deputy Carey explained. “It’s essential that there is no delay in facilitating this planning application. We are very much aware of the lengthy planning difficulties which ultimately led to the demise of the €850m Apple Data Centre in Athenry. “The next step for this exciting project is for Councillors to vary the development plan to rezone the lands to allow a planning application to be lodged with An Bord Pleanála,” he concluded. Photo shows Deputy Joe Carey briefing Minister of State Damien English on the Ennis Data Centre project.